Plan a vacation that your entire family can enjoy by booking one of our pet friendly rentals Gatlinburg TN today! Not only do these cabins give you and your loved ones a relaxing place to unwind, they also allow you to share all your new favorite vacation memories with every member of your household, including Fido. There are several ways in which our pet friendly rentals Gatlinburg TN can help you relax during your vacation. For starters, having a dog around in general helps you feel more relaxed because they inspire your brain to release a calming chemical in your brain. As a result, you feel happier in your dog’s presence. Having your dog with you during your vacation also cuts down on stress because you don’t have to worry about how he or she is doing back home or at the kennel while you are away. Our pets are an extension of our family, so it is understandable to keep their well-being at the forefront of your thoughts when you are separated from them. However, you don’t have to worry because you will have your pet with you because you chose to stay in a pet-friendly cabin! 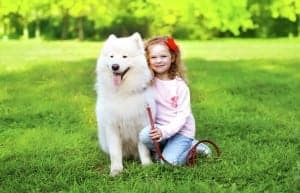 As we mentioned, by staying in our pet friendly rentals Gatlinburg TN, you won’t have to worry about leaving your pet with a dog sitter or at a kennel when you travel. In turn, this will also eliminate the need for paying for these services. Meaning, you can either save the extra cash or add it to your travel budget and spend it on something fun to do. Who knows, maybe it will mean you can tack on an extra day to your stay. Click here for more ways to save money with your pet-friendly Gatlinburg cabin rental. The two worst words any parents can hear when on vacation are, “I’m bored.” As soon as those words are uttered, it is as if all of the work you put into planning a fun and memorable trip fly out the window and your exciting adventure comes to a complete halt. However, it doesn’t have to when you stay in our pet friendly rentals Gatlinburg TN. Having your pet with you during your trip means you have hours of free entertainment for your kids. Meaning, you won’t have to worry about your kids getting bored or running out of things to do in between your adventures. It will also give you a chance to relax and unwind while your kids and your pet are playing because you won’t be the one responsible for entertaining the two. You can use this extra time to take a relaxing bath in your cabin’s jetted tub or catch up on your favorite book on the private back deck. A family vacation isn’t complete unless you can enjoy it with your entire family, including your dog. That is another reason why we recommend you choose our pet friendly rentals Gatlinburg TN for your family’s next getaway. This way, all of the memories you make during your trip will include all of your loved ones. This also means that you won’t have any members of your family missing from your vacation photos because you will all be together. Start planning your next pet-friendly vacation today by selecting which of our pet friendly Gatlinburg cabin rentals are right for you!